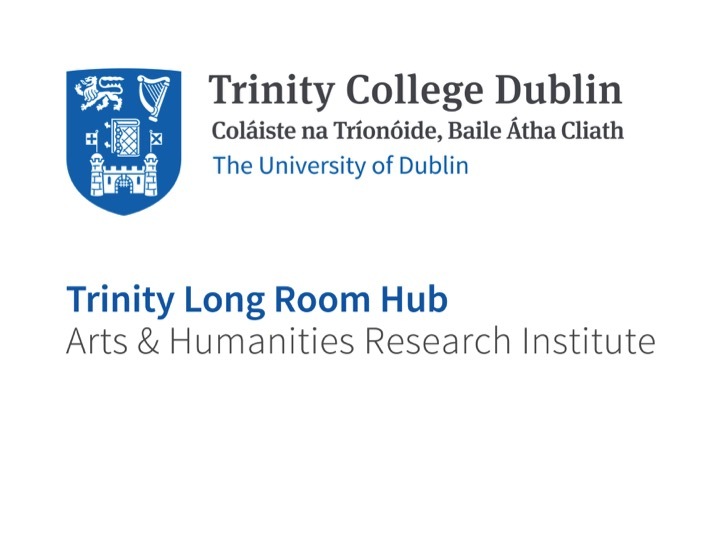 In this workshop, staff at the Library of Trinity College Dublin will introduce participants to the methods of planning and organisation to ensure successful online publication and archiving of digital projects. Participants will learn about best practices in, as well as pragmatic tips and tricks for such key topics as: digitisation; lifecycle management of digital objects; descriptive metadata; and copyright identification. In addition, researchers from multiple disciplines will present examples of their latest research in this area. Shane McGarry is currently a final year Ph.D. candidate in Computer Science at Maynooth University. Shane’s thesis, entitled Escaping the Book: Investigating Engagement with Humanities-based Visualisations to Promote Knowledge Acquisition in Digital Research Environments, focuses on the use of interactive data visualisations as an alternative to standard search mechanisms to facilitate engagement with a software system and its source material. Shane‘s research aims to show that alternative methods of engagement with digital artefacts increase learning and serve as a viable pedagogical approach for both research and learning tools. Throughout his research Shane has conducted numerous experiments related to Interactivity and User Experience Design and has published articles on the importance of Interaction Design within the field of Digital Humanities. Additionally, Shane has been involved in the creation of 3 different humanities-focused digital projects during his research, serving as both designer and developer and driving each project’s timeline under tight time constraints. You can read more about Shane‘s work at www.shanemcgarry.com. This workshop is designed to introduce participants to the theories, practices and methods of Distant Reading. In the first half of the presentation participants will be provided with an introduction to the theories of Distant Reading and the debates surrounding the approach, including arguments against data visualisation. During this session participants will also be introduced to some commonly used analytical tools in the Digital Humanities including MALLET, Google Books Ngram Viewer and Voyant Tools. After the introductory session, researchers from multiple disciplines will present examples of their latest research in this area. Nicole Basaraba is a PhD candidate in Digital Humanities at Trinity College Dublin, Ireland and is supported by the world-class ADAPT Centre for Digital Content Technologies, and the School of Languages, Literatures, and Cultural Studies. Her research focuses on the evaluation of and best practices for creating multimodal, interactive digital narratives in non-fiction genres. Her PhD research involves examining how participatory digital culture impacts and influences digital storytelling through the co-creation of a shared cultural heritage. With over eight years of international experience in digital communications and marketing, she values opportunities for forming collaborations between academia and creative industries. Nicole holds a Master of Arts in Communications and Technology and a Bachelor of Arts from the University of Alberta, Canada. Nicole is an invited lecturer of digital narrative and interactive media in universities in Ireland and England, and has presented at academic conferences in Canada, Colombia, Czech Republic, Germany, and Ireland. Her research is published in Frontiers of Narrative Studies and Logos: Journal for the World Publishing Community. Emma Clarke is a PhD candidate in Digital Humanities and Linguistics in the School of Computer Science in Trinity College Dublin. Her main research focus is on cross-disciplinary knowledge transfer, but she is also interested in text analysis and persuasive language in political speech. Since completing an M.Phil in Digital Humanities in 2013, Emma has worked on a number of Digital Humanities projects. These include ‘Letters 1916-1923‘, ‘Drawn to the Page: Irish Artist Illustrations 1830 – 1930‘ and ‘The 1916 Diary of Dorothy Price‘. In her free time, Emma runs dublinghostsigns.com, an ever-growing collection of Dublin’s old and fading signs. This workshop introduces an innovative ontology-based approach to designing and performing qualitative meta-research on the information and communication practices and attitudes of humanities researchers in the digital environment. After an introduction to relevant concepts from the fields of practice studies, activity theory, and practical argumentation, participants will engage with fundamental notions of conceptual modeling and ontologies, scholarly process modeling and the NeDIMAH Methods Ontology (NeMO), as well as with core aspects of interviewing research design and qualitative data analysis, focusing on the processes of developing an appropriate code system, as well as coding and analysing transcribed data. Based on their own experience, participants may develop research questions and a thematic guide suitable for scholarly activity mapping, plan and conduct a brief episodic interview, and perform ontology-based coding and analysis of interviewing data using the MaxQDA qualitative data analysis software. No prior technical experience is assumed. Costis Dallas is an Associate Professor in the Museum Studies program, Faculty of Information, University of Toronto, and a founding Research Fellow of the Digital Curation Unit (DCU), IMSI-Athena Research Centre in Athens, Greece. In his research, he investigates the relationship between people, things, and information in contemporary practices of cultural heritage curation, social interpretation and scholarly research, and the digital infrastructures, methods and tools that mediate this relationship. He is the Principal Investigator of E-CURATORS – Pervasive Digital Curation Activities, Objects and Infrastructures in Archaeological Research and Communication (SSHRC Insight Grant, Canada). Also, he is Vice-Chair of the Archaeological Practices and Knowledge Work in the Digital Environment (ARKWORK) COST Action where he conducts scoping and qualitative research on archaeology and social media, and Chair of the DARIAH-EU Digital Methods and Practices Observatory Working Group (DiMPO) where he coordinates a longitudinal European Survey on Scholarly Practices and Digital Needs in the Arts and Humanities across Europe. By synthesizing evidence from these studies, he aims to establish a pragmatic theoretical framework for curation “in the wild”, shaped by increasingly pervasive digital infrastructures such as mobile capture devices, Application Programming Interfaces, and online communication tools in scholarly work, and by participatory online information practices such as cultural memory and affiliative interactions between communities, amateurs and professionals on social media. He holds a BA in History from the University of Ioannina, Greece, as well as MPhil and DPhil degrees in Classical Archaeology from the University of Oxford.